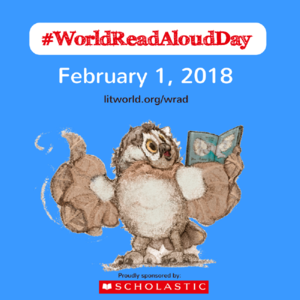 On Feb. 1, 2018, World Read Aloud Day celebrates the pure joy of oral reading with kids of all ages. Created by LitWorld, past years have found more than 1 million people in 100 countries joining together to enjoy the power and wonder of reading aloud in groups or individually, at school as part of classroom activities, or home, and discovering what it means to listen to a story told through the voice of another. For many, this is a rare opportunity to hear the passion of a well-told story and fall in love with tales where hearing them reaches listeners on a level nothing else can. Think back to your experiences. You probably sat with an adult, in their lap or curled up in bed. The way they mimicked the voices in the story, built drama, and enthused with you over the story and characters made you want to read more stories on your own. This is a favorite activity not just for pre-readers, but beginning and accomplished readers because it’s not about reading the book; it’s about experiencing it through the eyes of a storyteller. Somehow, as lives for both the adults and children have gotten busier, as digital devices have taken over, as parents turned to TVs or iPads to babysit kids while they do something else, we’ve gotten away from this most companionable of activities. 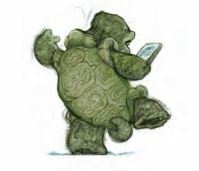 World Read Aloud Day is an opportunity to get back to it. Here are some classroom activities designed to do just that. 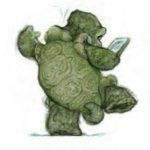 How do I create a classroom library checkout system?